We've thoroughly reviewed Bella Vegas Casino and gave it a very good reputation rating, which means it's a great casino to play at. In our review, we've considered the casino's player complaints, estimated revenues, license, games genuineness, customer support quality, fairness of terms and conditions, withdrawal and win limits, and other factors. Bella Vegas Casino is related to other online casinos listed below and its rating is also positively influenced by them. Read the full review below and learn more about this casino. According to our research and estimates, Bella Vegas Casino is a smaller online casino revenue-wise. The revenue of a casino is an important factor, as bigger casinos shouldn't have any issues paying out big wins, while smaller casinos could potentially struggle if you manage to win really big. We currently have 2 complaints directly about this casino in our database, as well as 13 complaints about other casinos related to it. Because of these complaints, we've given this casino 817 black points in total, out of which 771 come from related casinos. You can find more information about all of the complaints and black points below. Bella Vegas Casino appears on 4 blacklists. You can find them displayed below, but they haven't influenced our rating of this casino. We've chosen to ignore them either because they're related to the casino's previous owner, or because some other applicable reasons. Based on all of the information mentioned in this review, we can conclusively say that Bella Vegas Casino is a very good online casino. You can expect to be treated well and have an enjoyable experience if you choose to play at it. We have conducted extensive research on the web and as a result we have found following 16 complaints on Bella Vegas Casino or any brands that might be interconnected with it. Taking into account seriousness and credibility of these complaints and estimated size of casino revenues we decided to give Bella Vegas Casino a Very Good reputation. Player was double charged. The casino stated the money was refunded. The player made a deposit and was double charged. The player was frustrated because they had to wait for a refund for several weeks. The casino stated all funds were paid back and the player was rewarded a special bonus for the trouble. No update since then. Player unable to withdraw winnings. Casino accused them of duplicate account and numerous bonus claims. After depositing the player realised they made a mistake when typing their email address. They asked the casino's support for help and were promised that the representative of the casino would delete the old account. The player opened a new account, made a deposit and claimed bonus. After losing some money, they were able to win, the wagering requirements were fulfilled so they tried to withdraw the winnings. According to the player, the casino at first accused them of duplicate account (although they promised to delete the old account) and then of numerous bonus claims. The complaint remains unresolved. No update since then. Player found in the statement section they had lost before even playing the bonus. Player received a bonus and even before starting to play he noticed in the statetemnt section that it said he had alread lost, probably due to a technical glitch. The casino promised to look into the matter. No update since then. Double account and multiple bonus claims accusations with payments denied. The player tried to withdraw his winning of €520 but it was denied due to the double account and multiple bonus claims accusations. The casino did communicate with the player via email twice stating the same thing both times. Now the casino has been ignoring any kind of correspondence with the client and the case remains unresolved. The casino first approved the withdrawal and then canceled it and allowed the player to withdraw only 150$. The player wanted to withdraw his winnings that he had won with loyal points. At first, everything went well and the Finance Department approved the withdrawal. However, the winnings have not reached the player. When a player tried to withdraw money from his account again he was only able to withdraw 150$. The casino explained this by the fact that in the conditions it was written that the player couldn't withdraw more than 150 if he won with loyal points. However, for us, it is still a mystery why the player was not explained this immediately and why his winning was approved to withdraw first. The player complained about the non-payment of money, but as the casino explained, she was inattentive while reading the bonus terms. The player reading the bonus terms was inattentive and did not pay attention to the fact that the maximum withdrawal from the free money could reach only$ 150. Casino repeatedly tried to explain this , and the player wouldn't listen. The player was waiting for his deposit to be returned to him. 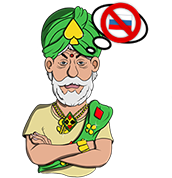 The player, Amit, requested a withdrawal, sent all the documents in for verification and still didn't hear from the casino. When he contacted the casino he was informed that they found out he had a dispute with one of their sister casino's and could no longer play at their casino, which the player admitted. Later on, he decided that he wanted to close his account and the casino decided to credit his deposit money back into his card. He didn't receive the money yet. The withdrawal was declined due to a double account accusation. After the player Shorty035 requested a withdrawal and sent all the documents for verification, the casino refused to pay her the winning due to a duplicate account accusation. She asked the casino to send or show her a proof, but they never did. She didn't receive any money and there is no further information available. Tommy, a player from Belgium, requested a withdrawal, sent all the documents for verification twice and still didn't receive his money. He contacted the chat where they informed him that the payment was pending but he should receive his money in the next 96 hours. He did not. About two weeks later, he tried to use the chat, but they wouldn't answer him and he found a message there saying he should have sent them an email. So he did, twice, but didn't receive any reaction ever since then. The player's withdrawal process became complicated due to the country restriction. The player, Salam from Bangladesh, requested a withdrawal payment and sent all the documents for verification. The payment method he used didn't work for him so he asked the support to change it for him. They did, but the payment didn't process due to a country restriction. The finance support team informed him that they sent him a check via courier but he never received it. When he contacted the finance team, he was informed they were still processing his payment and were looking for a way to deliver the payment to him and as soon as they would receive a confirmation number, they would inform him so he could track the payment. That also didn't happen and the player hasn't received anything. The payment process was delayed due to the complication with the payment method. The player made a withdrawal request and had no other choice but to use a check as a payment method. After receiving the check with a delay, the player tried to cash it out in their bank. However, they were informed that the check was fraudulent. The player contacted the casino and was promised they would receive the money on their Mastercard bank account but had to destroy the check first. After doing so, the casino tried to avoid contact with the player and the player kept waiting for the money. There is no update on this suspiciously acted casino. After a player made a win, it turned out he was from a country restricted to play. The player complained that he kept receiving emails from casino inviting him to play and informing him about the promotions, so the player started to play and won. However, when he wanted to withdraw, he was informed that he couldn't do so because he comes from a country restricted to play. The player didn't understand why he was able to make a deposit and play if he was from a restricted country. No reaction from the casino. The customer won at the casino using a bonus code and wanted to withdraw their winnings but the casino declined this payment, stating that the customer had an account on the casino's sister site on which they had used a coupon already and that this breached their bonus terms. When asked to provide evidence of a breach of terms, the casino didn't respond, thus this complaint is ruled for the customer. The player's winnings were canceled due to the non-payment of the deposit, of which the player was not notified. After the player made a deposit, he was credited with a bonus and he accordingly continued to play. After winning, he asked for a withdrawal. However, the player saw that his winnings were canceled. He turned to live chat, where he was informed that his winnings were canceled due to non-payment of the deposit. Although from the beginning he did not report this. This was a usual case what the Americans may face when trying to cash out their checks. Mary was not able to cash out the check she had received. She didn't follow the withdrawal instruction that she was given by the casino. Later on, they probably found another way to pay her and we consider this being likely paid. The main problem is with the payments via bank for USA players that may cause the problem. There is no further information on this case available ever since. This particular case was strange as there was no evidence from any side, therefore hard to decide. The player complained he did not break any bonus rule. However, the casino's opinion was different. The casino said every no deposit bonus could be used just once per IP address. Somehow the casino offered the same bonus for different casinos, the casino said the player used 3 times the bonus for one IP address. The player said it was always for a different casino. It was hard to decide as there was no evidence and no such things in the terms.